The intrinsic motivation to help or give is something we share as humans. Many times, even the most economically disadvantaged individual will offer what they have to help another person. So can an organization take advantage of this by adopting variations of it? Pay it forward management, if you’re not familiar with the concept, goes a little something like this: I help you, and in return you help someone else. And if that chain continues in perpetuity, you can see the incredible impact it can have. Imagine if this were to be applied in a business setting where everyone knows that, if you pay it forward, the business result can not only be incredible, but it can create incredible feelings experienced by all involved as well. In an article by Gretchen Gavett of the Harvard Business Review, Gavett starts by asking, “You scratch my back, and I’ll scratch yours. But if you scratch my back, am I any more likely to scratch someone else’s?” The answer is yes. Companies can greatly benefit from encouraging and adopting the principles that pay it forward management champions. One of the companies Gavett highlights is Google. The company has a bonus system that uses token payments for employees that have exhibited helpful behavior with a pay it forward stipulation attached to it. The additional funds that the company gives from the peer-to-peer bonus must be paid forward to recognize a third employee. This is just one example of a company implementing a pay it forward management system to reap the benefits of the philosophy. In terms of monetary value, Gavett shows how ConocoPhillips has reaped more than $100 million since implementing an online knowledge sharing information community where solutions are offered by members. As University of Kansas psychologist Dan Batson, PhD, said, “We, as humans, are capable of a motive that has another’s welfare as the ultimate goal.” And that capability can be used by organizations to create a community in which this innate quality can be fostered by incentivizing the behavior. This is a top down proposition, because whatever the current culture of the company is, the change must come from its leader and management. And as such, it also must take into consideration the voluntary aspect of the pay it forward management model. Because if employees feel they have to do it, the likelihood of it succeeding will be very low. Below are some steps you can start taking to implement a pay it forward management system in your business to get the ball rolling. 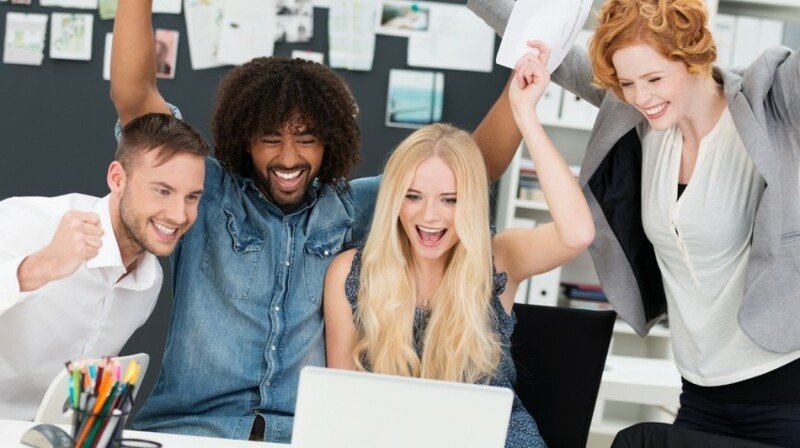 A study (PDF) by PwC revealed, “Employees most committed to their organizations put in 57 percent more effort on the job — and are 87 percent less likely to resign — than employees who consider themselves disengaged.” This is a great point to remember, because it has a positive outcome for everyone involved. Engaging employees by helping each other is a sure fire way of ensuring the long-term viability of a pay it forward management policy. The devil is in the details, and having objectives that are clearly defined before you initiate the program lets everyone involved know what is expected of them. From the get-go, they will know if this is for them or not. It’s as simple as that. Management and everyone else in leadership should not expect more of their employees than they do themselves. After all, this is paying it forward, and if leaders are not taken to task — they will be responsible for breaking the chain of continuity. By recognizing these talents, companies can bring groups together that have similar interests so they can build relationships on their commonalities while addressing the overall concept as it applies to the organization. If having a more engaged workforce results in increased productivity, it means the revenue stream will be larger for the company. By monetizing the program, the organization lets its employees know it’s willing to reward participants for helping their fellow employees. Whether the program is being carried out in the confines of the company or elsewhere, your employees have a life. Acknowledging their personal lives and finding out the types of commitments they can make, along with their level of availability, will increase participation. This will be different for each organization, but if the resources and tools employees need to help each other are readily available, it will make the process that much easier. Establishing a pay it forward management principle as part of an organization’s vision is a win-win for both the employee and employer. It gives employees a sense of purpose within the organization by building connections and relationships with each other. And an engaged workforce always produces more than one that is disengaged.